Do you dread long road trips because either you have to turn off your devices to save battery life or you have to buy those really cheap (not well made) USB charger things in service stations or convenience stores only to toss them into the trash after a single use or two. And you can only charge one or two (if you’re lucky) devices at a time. Frustrating, isn’t it? Well, for just about the same price as dime store charging gadgets, you can have a real multi-device charging station for your long trips. Seriously. 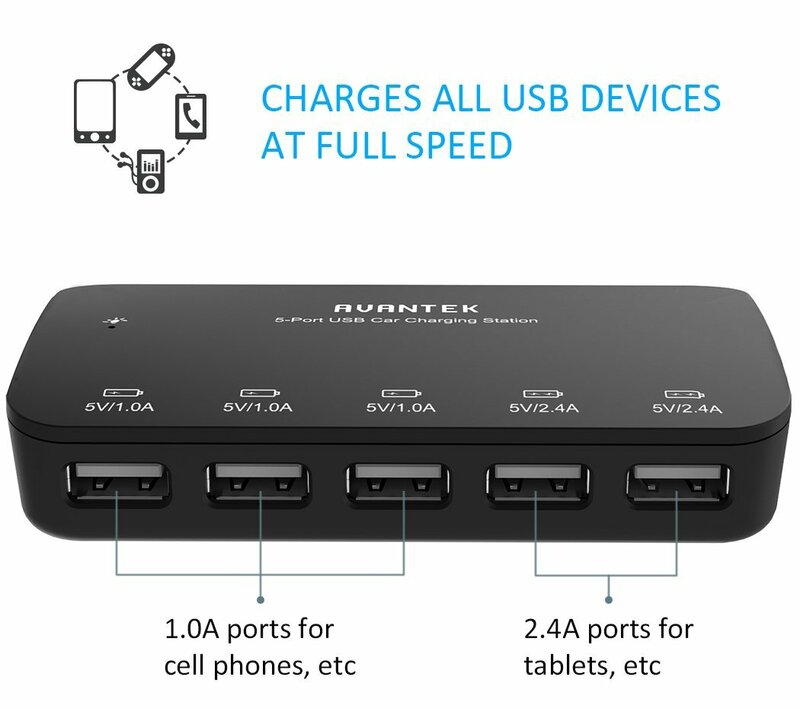 For $16.99, you can charge up to five devices at once (upper left device in picture). It’s the one that I take with me on road trips. My wife, daughter, and I are able to charge our three iPhones and my daughter’s iPad all at once. Try that with a convenience store charger. 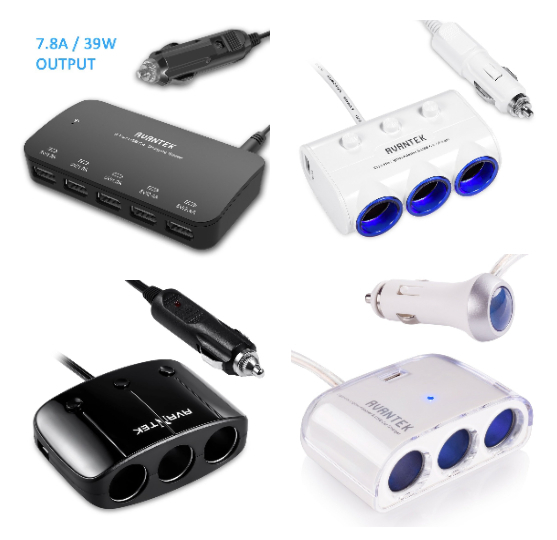 The other chargers shown have two USB connectors plus three cigarette lighter-style socket charger ports. These units are socket port multipliers. 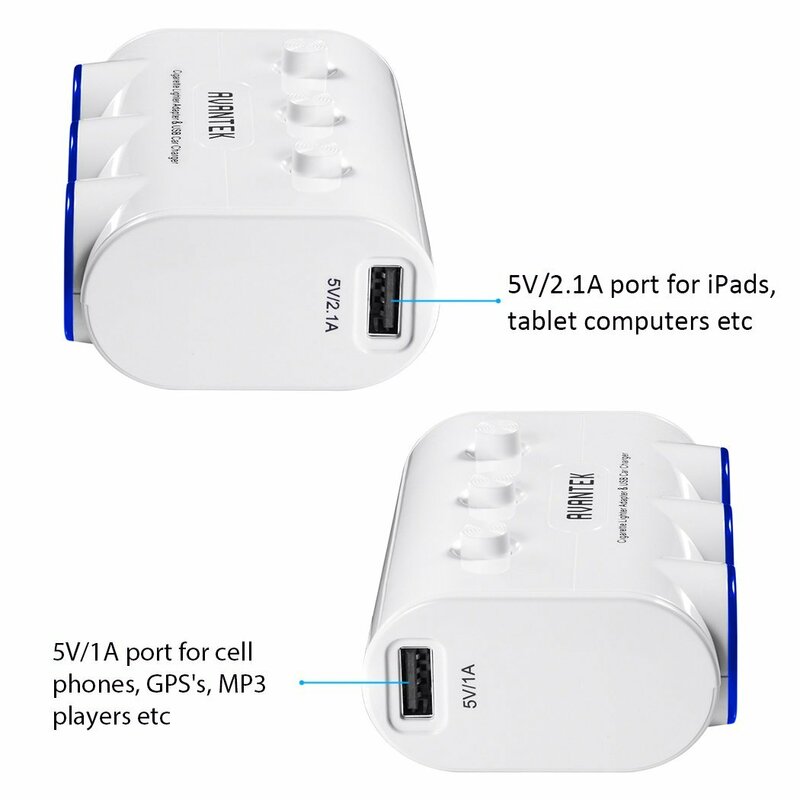 With them, you can charge or power a variety of gadgets, tools, and appliances. You aren’t limited to USB. My sons chose the socketed chargers for themselves because they have a variety of “thingies” that they want to power. I don’t know what “thingies” are and I don’t want to ask. I feel better not knowing all the details. But whatever those details are, they’ll have plenty of power available to them. Why it’s Frugal: AVANTEK power products are frugal because they save you both time and money. 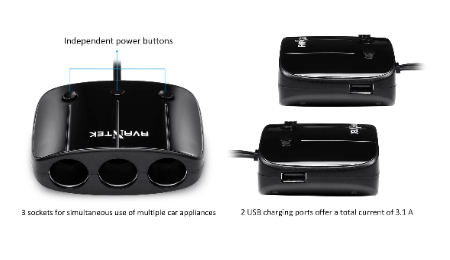 They save you time by allowing you to charge multiple devices in your car and they save you money because you don’t have to buy multiple chargers nor do you have to re-buy chargers because the ones you bought were cheap pieces of garbage. Frugal and useful. You just can’t beat that combination. Surprisingly, I don’t have even one bad or slightly negative thing to say about these products. They do what they say they’ll do and they do it inexpensively. The manufacturing quality is very high, the designs are good, and they work. It’s hard to find fault with a product that is so well thought-out, so useful, and so frugal all in one package. What more can I say than to tell you that my wife and my two college student sons love these? I can tell you that I love them too. Honestly, every vehicle you own should have at least one of these devices available because these days we depend so much on our personal technology that you can’t do without power. Recommendation: A must-have for every vehicle and every member of your family. These would make great gifts.